Translation and Transliteration both have different meanings and are used for different purposes. There are many misconceptions about these two terms when the concept of conversion of source language into target language comes into play. Now let’s quickly dive into what these two terms really mean and how they are different from each other. 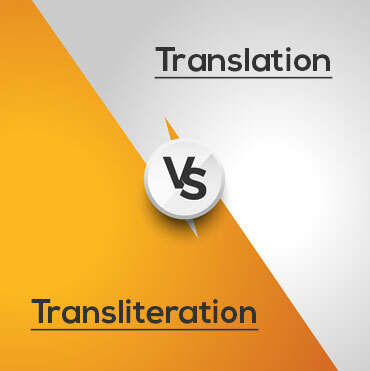 Translation is the process of converting one language into another language that might include changes in the words and pronunciation but both the source language and target language have the same meaning. For instance, the Spanish phrase “servicios de traducción en la India” when translated to English “translation services in India” have different words with different pronunciation but both have the same meanings. Transliteration is the process of converting a text or document from one script to another by swapping the letters of the source script with the target script in a way that both the scripts sound and spelled very similar to each other. For instance, the Greek word “Ελευθερία” when transliterated into English gives “Eleutheria”. Every letter in the above Greek word is swapped with English letters having very close pronunciation. Furthermore, transliteration doesn’t involve the perfect pronunciation but deals with the accurate (perfectly spelled) representation of characters. For perfect pronunciation, there comes another term Transcription that involves conversion of one script into another having similar pronunciation irrespective of how they are spelled. While Translation is related to the conversion of one language into another no matter how they are pronounced, spelled or represented, transliteration strongly focuses on converting one script into another keeping in mind the exact representation of letters which may include slight change in the pronunciation. 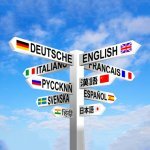 Translation vs Transliteration: Which One is More Important? One cannot clearly depict about the dominance of translation and transliteration over one another. Individually, both plays specific roles in the conversion of one language into another. On one hand, language translation helps organizations eliminate the communication barrier and expand their business globally which helps them in gaining a foothold in the international market. On the other hand, transliteration helps various professions to clearly identify an unfamiliar language and correctly spell words with exact pronunciation giving them an edge over other non-native speakers. Both translation and transliteration are of equal importance. A language translator must be proficient in various transliterations i.e, Cyrillic, Greek, Hebrew, Arabic, etc. in order to sound like a native speaker and let businesses easily target their potential customers irrespective of the country they belong to.